This ranch home in Kensington, NH was in desperate need of new siding and windows. When the homeowners bought the house about 3 years ago they knew the house was going to need eventual repair. 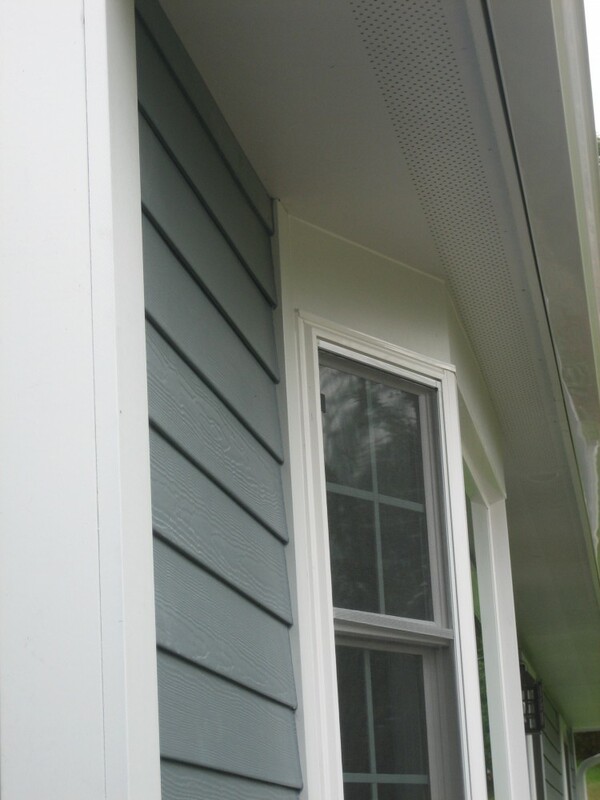 They saw the houses masonite siding progressively deteriorate over time rather quickly. The windows also were not energy efficient and were molding in some areas. They chose to install James Hardie HardiePlank 6 1/4" Select Cedarmill lap siding and 5" Hardieshingle siding in Boothbay Blue. They also replaced all the windows in the house with Jeldwen windows. The homeowner is proud to come home to their new home which is now more energy efficient a great benefit especially since winter has arrived.